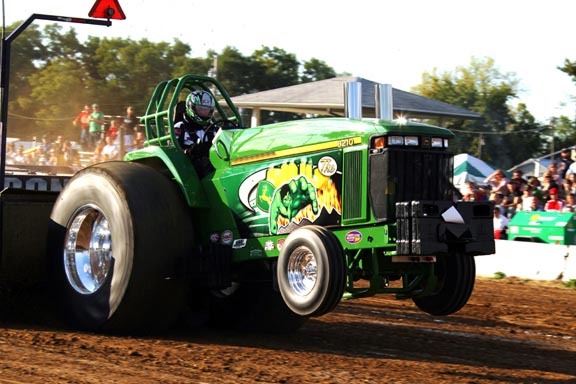 The Saluda Young Farmers 35th Annual Truck and Tractor Pull, “Hottest Pull in the South” will be held August 10th – 11th at the Young Farmer Stadium at the County Recreation Complex. The NTPA professional pull will begin at 7:30 p.m. Classes this year include: 2 wheel drive trucks, 4 wheel drive trucks, super farm tractors, and modified tractors. Ticket prices are as follows: Adult one day passes – $20, Adults weekend passes – $35, Children 12 and under – Free. Advance weekend passes (Friday and Saturday) and one day passes are being sold at Rodger’s Fertilizer in Saluda or Johnston Auto Parts in Johnston until August 10 at 1 pm. Weekend passes will also be available at the gate on Friday night of the pull. The Saluda Young Farmer Scholarship winners will be recognized. The 2012 winners are Curt Berry, Alex Coleman, Chase Rodgers, Corbin Yon, and Brad Werts.